Repair or replace your timber windows? 22 May To repair or replace your timber windows? One of the first things people notice about a home or property is your windows. They are visible to all who walk down your street or up to your front door. Windows are designed not only to let the light in but to keep the heat in and, most importantly, the cold out. Over the years, timber windows can fall into a state of disrepair if not properly maintained and the question on many homeowners’ lips is should I replace them or can they be repaired? At HRG Services, we’re a firm believer of keeping the original windows whenever possible but it is not always possible, this blog will go into further detail about the factors of replacing or repairing your windows. 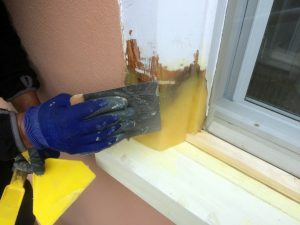 Resin being applied to the existing profile. timber can be spliced in. We also use an English Heritage approved resin which can be moulded and shaped to look like the original wood. Once the resin has been applied, hardened and sanded down, it can be treated just like the rest of the timber. Once primed and undercoated and then top coated, you will never even know it was there. For those living in conservation areas, it is not always possible to change the existing windows. This means that repair is your only option. 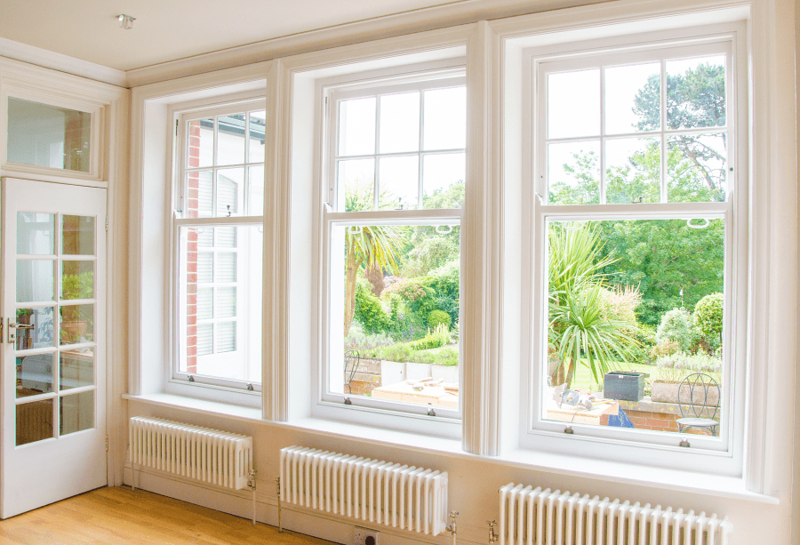 For many homeowners who are looking to improve the thermal efficiency of their windows and home, the first thing that springs to mind is to remove the old single glazed timber windows and have newly manufactured double glazed units installed instead. At HRG Services we can install slimline double glazing into most original timber windows by removing the old glass and routing in deeper channels to allow our 12mm double glazing to fit. Original timber windows do not have the modern benefits of draught proofing which again sets people off thinking that the windows must be replaced, again this is not the case. 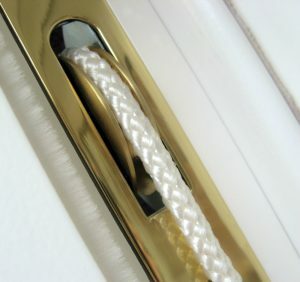 HRG Services can retro fit draught proofing to most existing timber windows as well as fitting new pulleys and cords. The severity of the rot needs to be considered when thinking about changing your windows. 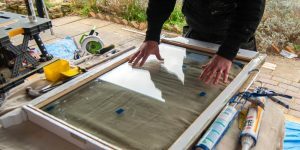 In some cases, repairing them is not going to be cost effective and newly manufactured windows will be the best option. HRG Services provide a free no obligation survey and advise you of the best choice for you. Our slimline double glazed units can be installed in most timber windows but this is not always possible which would mean newly manufactured windows are going to be the way forward. 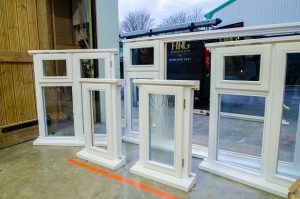 We stock not only off the shelf sash and casement windows but we can manufacture bespoke windows to match your existing windows so they blend in seamlessly with the rest of your home. If you would like more information then please click here or call one of our team now on 0800 246 1947 to book in a free no obligation survey.